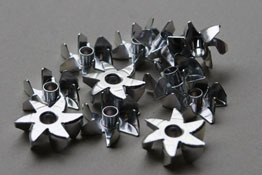 Punching of metal molds on design of third parties. ADVECO was founded as a metal puncher and now we have 50 years of experience in this business. We have created a variety of internal machining processes such as deburring, countersinking, bevelling, threading, assembly and packaging with the client logo. With the latest generation machinery, to stay abreast of market needs, ADVECO has fifty eccentric presses available with force ranging from 50 to 600 tonnes, bending presses and CNC punching machines. 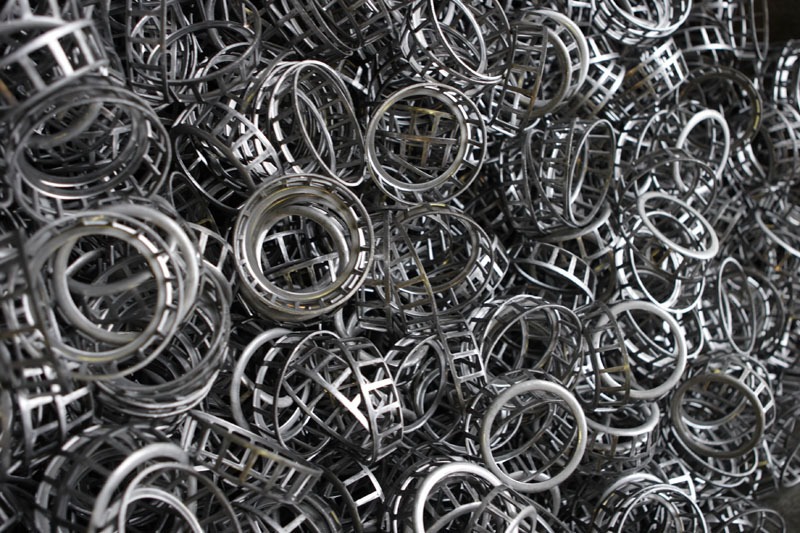 At ADVECO, we can cold-mould parts, both standard and customised, for the most diverse applications, including construction, sanitary, automotive, home appliances, lighting and objects of any kind. The entire punching process is complies with UNI ENI ISO 9001 and ensures the maximum customer satisfaction, both in terms of high quality as well as the speed and flexibility of production. For this reason, ADVECO can produce both small and large batches, depending on the specific needs of the customer. 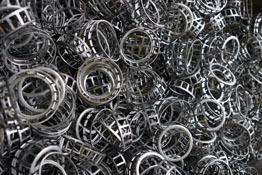 Our extensive experience in punching ferrous and non-ferrous metals has also allowed us to forge long-term collaborative relationships with trustworthy and reliable partners. 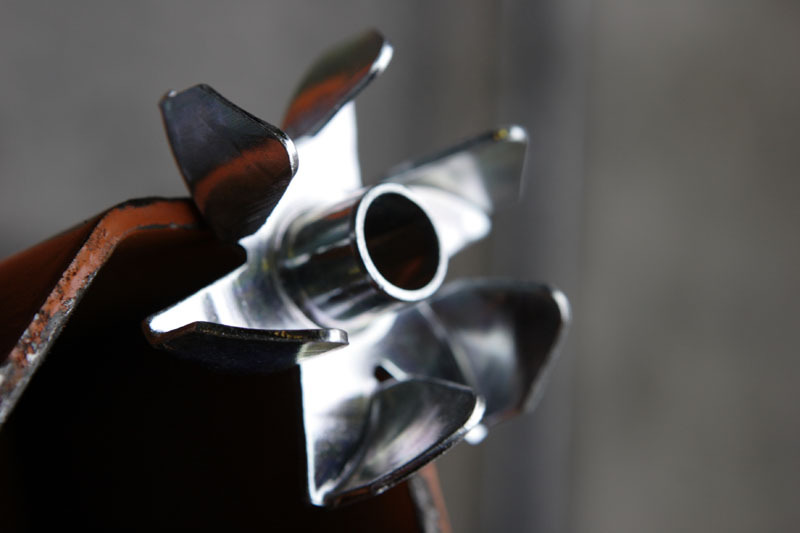 We offer a complete service starting from design and mould making, to surface treatments such as hardening, welding, painting and galvanising.